Today is Thiru Karthigai and its the 10th anniversary of your departure. We remembered you with some things that were very dear to you. Believe it or not, Amma made dosas on a cast iron tawa ! 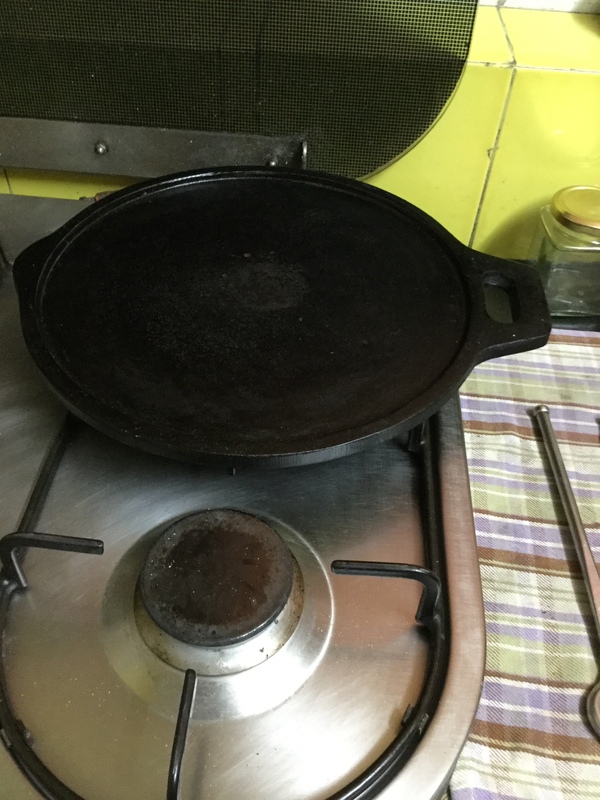 She has been making dosas on a cast iron tawa for the past week, ever since I bought one from Bhagya Cast Iron cookware. She told me about how you had bought one right after you both got married and she didn’t know how to use it. You ended up eating “kindal” dosai and she would make uthappams for herself after you left for work ! :). She tried doing the same with the cast iron tawa that I bought as well. She made rotis on it and it lost its non-stick nature. She flatly refused to make any dosai on it. I then read the instructions given by the manufacturer on how to season the tawa and it works beautifully now, far better than the Teflon coated non-stick tawa. Can’t say Amma is particularly thrilled but well, she has come around to it. The dosas do taste awesome and very different on the cast iron tawa than when made on the non-stick one and of course its healthier as we avoid the toxic fumes from the Teflon non-stick tawa besides getting some iron content into the dosai. Appa, do you remember the coffee filter that you and Sampath Chitappa used in Bangalore ? I brought it here with me from Hyderabad. Have used it quite a few times but discovered recently that the bottom portion where the decoction collects has started to leak. 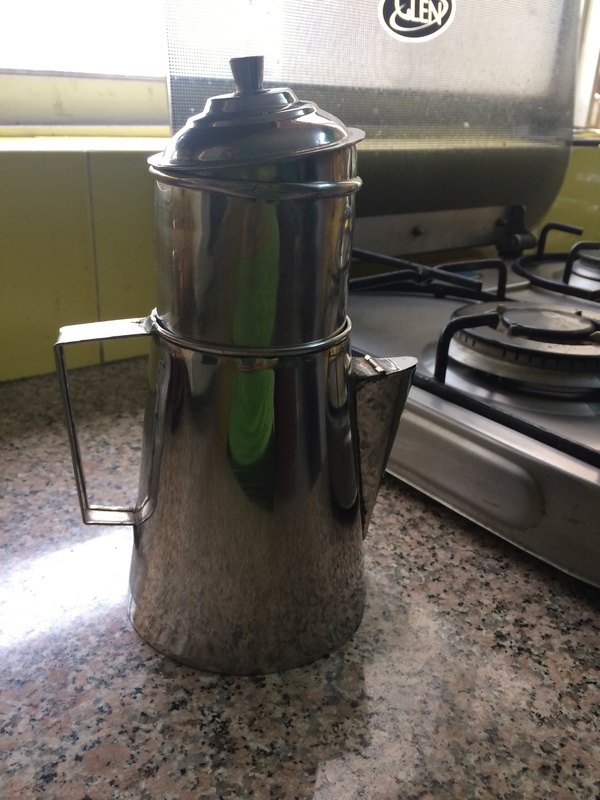 So I have kept it aside and bought a percolator instead. 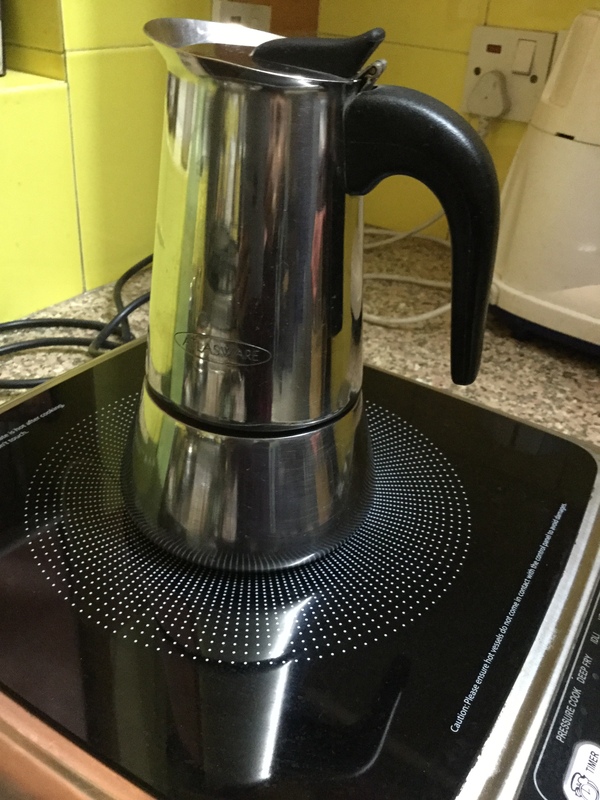 When we visited Germany recently, they had a coffee percolator in the Airbnb that we stayed in and I found it fascinating. As soon as we returned to Hyderabad, we went in search of one and found it in a store near Koka’s house. The decoction is much more flavourful and the whole house smells of coffee. I can use it on the induction stove too. Even more interestingly, I bought the coffee powder from Sri Krishna coffee and they delivered it home. Nisha had told me that they deliver now and I called them up asking if they can deliver it at home. 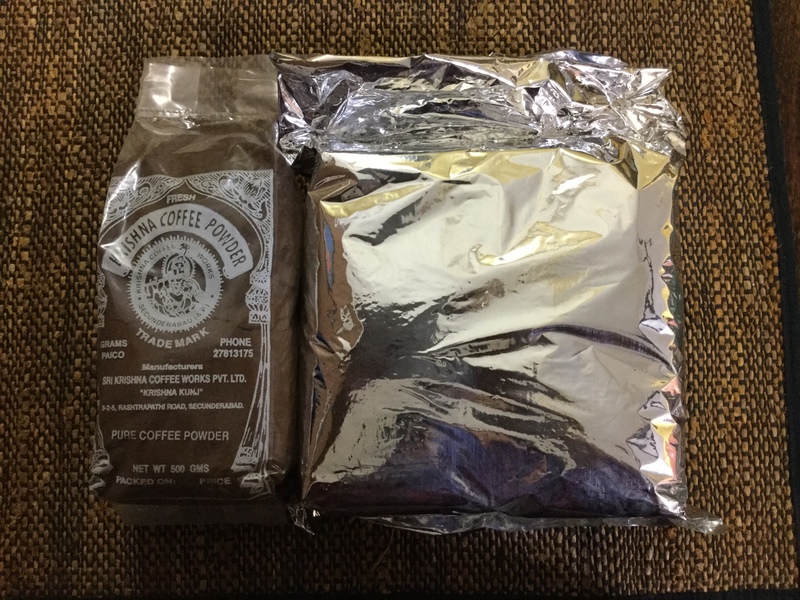 They double packed it in a plastic bag and then foil so that the coffee powder does not lose its flavour. I remember going to their store on R. P Road, Secunderabad with you when we lived in AFA and also later when Krishnan and I were with you and Amma in Hyderabad. They now have several more outlets but their quality is just as good, no change in that. Such special memories of you and small things in everyday life bring you alive ! I can almost see you smiling when Amma reluctantly makes the dosas on the cast iron tawa. I can almost hear you say “danda selavu” as I buy something on Amazon. You live on in Amma and in our thoughts. Watch over us as you always do and keep us on the right path. Anu, so sorry for your loss. Parents are so special …. you take them for granted when they are around and then suddenly one day they are gone and you miss them terribly. I feel my father’s presence very strongly, its almost as though he never left and I do believe he is around. The same is the case with Krishnan’s parents. I just prayed to my parents-in-law when Krishnan went through his health scare, especially my mother-in-law as I was very close to her and I could almost hear her say, “nothing will happen, don’t worry”. Prayers and a big hug dear Anu. Take care.